I think our expectations are always high because of what we achieved in the past, even last season we had a very successful league campaign finishing 1st by 8 points but came up short in the Semi Finals on shootouts," explained 29-year-old Jackson, who debuted for Great Britain in 2007. 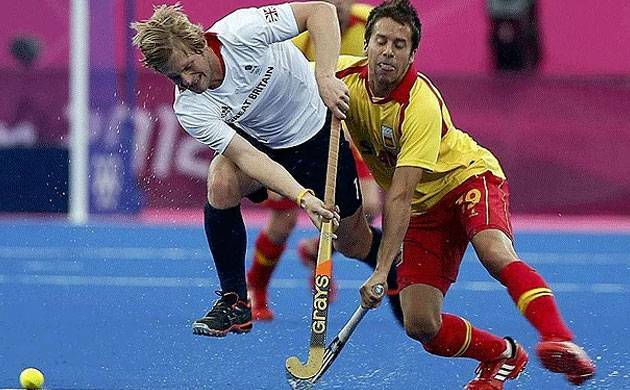 Impressed by the resurgence in Indian hockey, British midfielder Ashley Jackson said the country seems to be back among the top with its recent performances. "I think it's safe to say with the senior team's performances over the past four years and the junior team now becoming World Champions under the leadership of coach Harendra Singh, Indian hockey is back to the top of the table once again," Jackson said. "I have spent four-five years playing alongside Manpreet (Singh), Biru (Birendra Lakra) and Kothajit (Singh) who have all grown as players each year. It's also fun to see how some of the younger guys like Mandeep (Singh) and Simranjeet (Singh) are getting on with their game," he added. Jackson has been one of the most successful captains in the Hockey India League with his team Ranchi Rays winning the event on two occasions. This year too he is optimistic his team will set its sights high. "I think our expectations are always high because of what we achieved in the past, even last season we had a very successful league campaign finishing 1st by 8 points but came up short in the Semi Finals on shootouts," explained 29-year-old Jackson, who debuted for Great Britain in 2007. "We will set our sights high for this season as I'm sure everyone else will, if we are playing with smiles on our faces then that doesn't look good for all the other teams. We have a great group in Ranchi Rays so it's always fun," stated an excited Jackson ahead of his arrival in Mumbai where he will join his team Ranchi Rays for the week-long camp. The Ranchi-based franchise owned by cricketer MS Dhoni will begin its campaign on January 21 against Dabang Mumbai. Apart from hockey, Jackson is an ardent fan of cricket. That he is part of a franchise owned by India's most successful cricket captain MS Dhoni is only an added advantage to his love for the sport. "MS Dhoni is a pioneer of the modern game as we know it today, the first of the modern era of cricket, really taking a shot, making it to the next level where it is less about text book technique that they once taught us for hours and hours back home," says the Englishman who has played fair bit of cricket and football during his childhood days. "Dhoni is someone who gets the job done no matter how it looks and entertaining along the way. Having said that I'm a conventional cricketer from back home so I'd settle down to watch Joe Root bat the first three days of a test match any day," he admitted.